Labour Together, the new group aiming to deliver unity among the different wings of the party, today marks its formal launch with the opening of a £40,000 fund to support grassroots projects set up by Labour members. The Jon Cruddas-led group will fund proposals “based on radical, credible, and electable policy ideas rooted in Labour values” for sums of between £1,000 and £15,000. 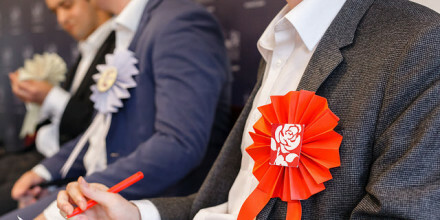 In line with Labour Together’s ethos, projects which bring together contrasting strands of the party will be preferred and must develop links between the party and local communities. Cruddas, the group’s chair, said the project aimed to renew the Labour Party, gather the best lessons from local authorities and help the party get back into power nationally. “Labour values are British values. The Labour Party has a duty to millions of people across the country. They want and expect us to work together and to unite against a Tory government that is incompetent and dividing the country. Labour Together’s vice chairs include MPs Lisa Nandy and Steve Reed as well as Sir Richard Leese, Leader of Manchester Council, Sharon Taylor, leader of Stevenage Council, and Judith Blake, Leader of Leeds City Council. Today Taylor used an article on LabourList to avoid the in-fighting which has surfaced at some points over the last year. “We will work right across the movement, from Labour’s 400,000 members to our councillors and trade unions. These are the people who help put Labour in power in our cities, towns and devolved governments. The application deadline is 14 August, with successful projects announced in September.